THE oral hearing into an application for a salmon farm containing 1 million fish, at Shot Head in Bantry Bay, was adjourned last week when a 102-page document emerged, that had not been seen by all the interested parties. A document commissioned by Marine Harvest Ireland outlining sea lice distribution in Bantry Bay, which was submitted to the Aquaculture Licences Appeal Board (ALAB), was not circulated to all the appellants and therefore the chair of the oral hearing, Dr Owen McIntyre, adjourned the meeting for four to five weeks. The decision came after two days of evidence in Bantry. ‘Nobody wants this salmon farm here,’ Breda O’Sullivan, representing her community of Roosk, told the board. ‘Not one resident of our community was approached by Marine Harvest in connection with this salmon farm. We have a very important tourist industry in our area, most of our community depends on the income that holiday rentals provide, and having such a salmon farm just out there in the bay, not far from our shore, would have a devastating effect on our community,’ she said. The Beara Peninsula Residents’ Group was just one of 14 appellants who made presentations to ALAB in Bantry this week. 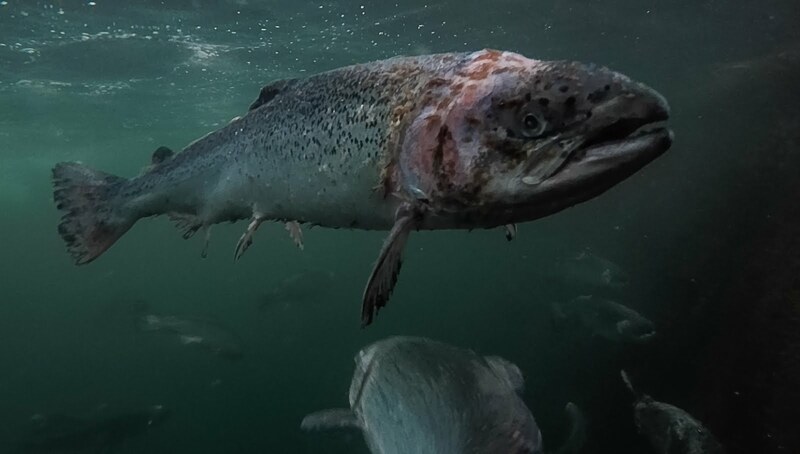 In its application, first lodged five years ago, Marine Harvest Ireland outlined its plans to develop an additional 18 salmon cages off Shot Head. The new salmon farm and the 18 cages, which will each contain up to 60,000 fish, is expected to produce up to 3,500 tonnes of salmon every two years. Local fishermen were represented at the oral hearing by Kieran O’Shea, whose family have fished the waters around Shot Head for three generations. He outlined what a disastrous effect he believed a salmon farm would have, not only his livelihood, but on the many other boats and families who have always relied on the crab, prawn and lobster fishing off Shot Head. Speaking on behalf of the Save Bantry Bay group, Peter Sweetman said that a licence for the farm would have a devastating effect on Bantry Bay, both in terms of local jobs, fishing stocks and other wildlife across the area. ‘This whole process is fundamentally flawed under European legislation. We should never have had to request all the relevant documents be sent to us in the first place, and now we learn there is a 102-page submission that we – and all the other appellants – know nothing about. ‘Until we have had a chance to examine these documents, we cannot continue with this appeals hearing,’ Mr Sweetman said.